One of my favorite inspirations is antique quilts. I am over the moon about getting to visit "Antique Textiles" when in London this month. If you haven't already, go check out their Facebook page. There are some wonderful videos for a peek inside the store. I'm hoping one of the antique quilts will call to me, awaiting to be reborn as a fusible applique pattern. I also picked up an inspiring book by my friend Pat Cox this week. 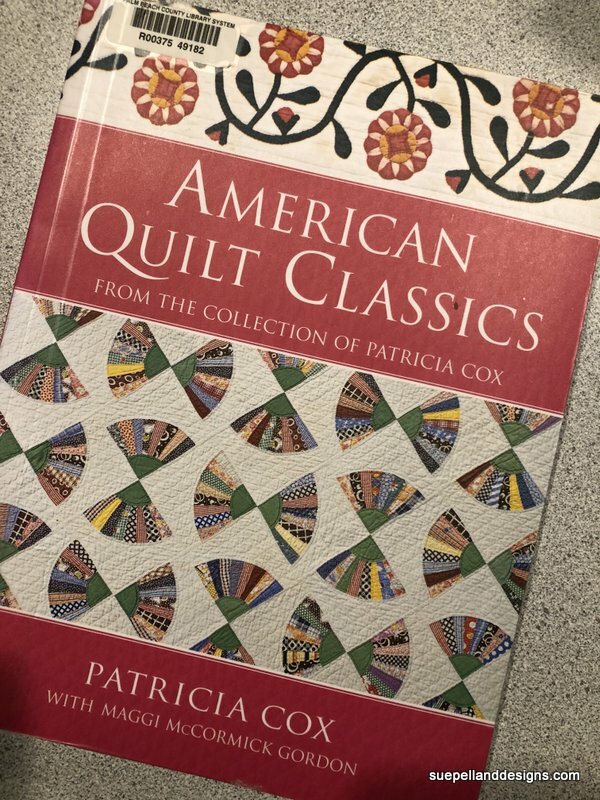 Pat's antique quilt collection is extensive, and very lovely. There are quite a few applique quilts in there that have got me thinking. How do you decide what is next on your list of quilts to make? Do you take turns between big and small quilts? Do you alternate between pieced and applique quilts? Do you rely on Pinterest, books, or patterns at your quilt store to get you moving? What will you be working on next? If you have your next project already picked out, please share it with me on Facebook or in a comment.